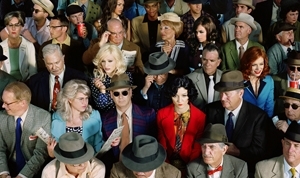 Alex Prager's photograph, Crowd #1 (Stan Douglas), is currently on display at the San Francisco Museum of Modern Art. The work was acquired by the museum in 2011. Alex Prager's first solo museum show is on display at FOAM Fotografiemuseum Amsterdam through October 14, 2012. Prager was the 2012 winner of the FOAM Paul Huf Award, a prize organized by the museum and awarded annually to a young photographer. The exhibition includes Prager's new series, Compulsion, as well as the artist's new film, La Petite Mort. Alex Prager's New York Times Magazine series, Touch of Evil, has been nominated for the 33rd Annual News & Documentary Emmy Awards in the "New Approaches to News & Documentary Programming: Arts, Lifestyle & Culture" category. 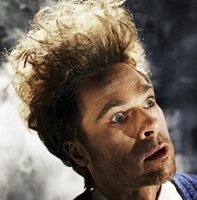 The series of portraits and short films features Oscar nominated actors reprising roles of infamous Hollywood villains. Seven works by Alex Prager will feature in State of the Art - New Contemporary Photography, at NRW-Forum in Dusseldorf, Germany, opening February 4, in conjunction with the release of a book of the same title published by Feymedia for international distribution. Nine works by Alex Prager will be featured in a major group exhibition at the Kunsthalle Wien, Vienna, opening November 11. The exhibition - No fashion, please! - explores the dialectics between the form of the body and its appearance, and will feature Prager, Philip-Lorca diCorcia, Erwin Olaf, and Viniane Sassen, among others. 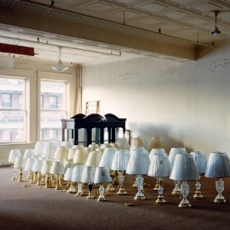 Alex Prager's photograph Crowd #1 (Stan Douglas) has been acquired by the Moderna Museet, Stockholm. The piece is currently on display in the museum's exhibition Another Story: Possessed by the Camera, Photography from the Moderna Museet Collection. Several large-scale photographs and a short film by gallery artist Alex Prager will feature in MOMA's prestigious New Photography 2010, opening to the public on September 29th. Aperture and the Photography Program in the School of Art, Media, and Technology at Parsons The New School for Design present the latest installment of the Parsons Lecture Series: photographer Alex Prager in conversation with gallerist Yancey Richardson. Alex Prager has been selected as one of four artists to be included in the prestigious New Photography 2010 at MOMA, opening September 29, 2010. The Museum of Modern Art and The Whitney Museum of American Art have both recently acquired photographs by Alex Prager for inclusion in their permanent collections. Additionally, the North Carolina Museum of Art has also recently acquired Prager's work. Alex Prager's work has been selected for the group exhibition Embarrassment of Riches, opening September 17, 2010 at the Minneapolis Institute of Arts.